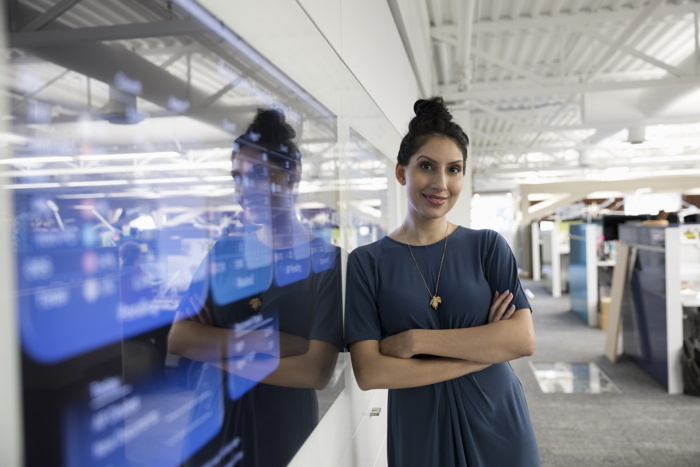 Booking.com research reveals how women in tech are stepping up to drive change, and their views on the corporate-led initiatives that are needed to cement a diverse workforce for the future. Booking.com has revealed new findings from a global study that aims to uncover the experiences and perceptions of women with careers in tech. Reflecting confidence in their current roles and future potential in the industry, more than four in five women (83%) currently working in the tech industry globally say they intend to remain in tech for the next five to ten years. The research also identifies the actions female tech professionals can and are taking themselves to help drive greater gender equality in the workplace, as well as the proactive measures they consider essential for tech companies to take in order for women to further succeed in tech. According to Booking.com research, the commitment to staying in tech is shared by women across different stages of their careers, namely early career professionals with 1-5 years' experience (80%), experienced professionals with 10+ years' experience (83%), and re-entrants to tech – women who have returned to the industry after taking a career break (88%). These figures indicate that satisfaction levels among women in tech improve as they progress in the industry which is positively influencing their intent to stay. Female tech professionals in India and China (96% and 94% respectively) are the most committed to staying in tech compared to those in the US and Europe. However, the research also shows that women experience a glass ceiling in China's tech industry. A large 43% of respondents from China believe they will not advance beyond a certain point in their career in tech, the highest figure globally, showing that women in China struggle more with tech advancement than the average (26% globally). In India, advancement is less of an issue compared with other markets, with just 17% of respondents believing their potential to progress in tech is limited beyond a point. Rather, women in India feel most strongly across all markets surveyed that their contributions and voices are under-appreciated in the tech workplace (42%). This figure is more than double the global average (20%), pointing to a major issue with workplace culture. Beyond their own commitment to the tech industry, women in tech are passionate about encouraging new entrants to join the sector. Globally, nearly nine in ten women tech professionals (89%) say they would recommend a career in the tech industry to the next generation of high school and female undergraduate students. When looking across markets, this sentiment was highest among women tech professionals in India (97%) followed by those in Brazil (95%). "There is clearly a thirst and a sense of optimism from women – whether already in the tech industry or hoping to be one day – for the potential that a role in technology can deliver. To move the needle further and achieve true gender parity in the global tech industry, we should be looking to harness this optimism and create a more inclusive culture that attracts and retains talented women," said Gillian Tans, CEO at Booking.com. "It is encouraging and inspiring to see women in technology doing incredible things every day, including actively taking steps to engage with future generations, making their voices heard and launching programs and initiatives with the goal to help drive further gender diversity in the tech workforce." Whether working at a global technology company or a seed stage start-up, women working in tech are embracing the role they themselves can play to overcome the industry’s continued gender diversity challenge and to champion other women. Women in tech globally – and those interested in a career in the field – feel that the greatest opportunities for female tech professionals to contribute are to share their experiences and perspectives of the tech industry with other women (46%) and to become a mentor to them (44%). Female undergraduate students see the strongest opportunity here (56% and 50% respectively). As the next generation of tech talent, they are keen to network with, learn and receive guidance from women already in the industry. Nearly two in five women globally (38%) say that women working in tech have an opportunity to improve gender diversity by joining and participating in organizations and non-profits dedicated to supporting girls and women in STEM and tech, such as Women Who Code. Undergraduate students see the greatest opportunity here (47%), as do women in India (46%) and China (45%) when looking across markets. While women in tech feel empowered to inspire other women, change mind-sets and take the lead on breaking down the barriers to their own success in tech, they also believe the tech industry has an obligation to invest further in initiatives that support them. This starts with putting in place hiring practices that are designed to attract a more diverse workforce, identified as the most crucial change, by more than one in two women globally (51%). However, only the same percentage expects to see this change in the tech workplace within the next five years, which suggests that there is room for companies to move faster in effecting change. "From our research, as well as the countless stories of inspiring female voices in tech we hear every day, it's clear that women are taking the reins to initiate positive change in the industry. However, we need to acknowledge that the responsibility also lies with the broader collective - which includes the tech industry, companies, policy makers and educators," said Tans. "We have an opportunity to make real and lasting change today as well as leaving a legacy for the next generation of women in tech. It's with this vision in mind that Booking.com is hosting the Women in Tech lounge at the annual Web Summit in Lisbon, creating a space for women to connect, network and share experiences, and also offering one-on-one mentoring sessions for women in tech with Booking.com executives and other industry leaders." When asked about the essential steps required to unlock success and initiate positive change in the industry, women say companies also need to put in place career progression policies that are based on merit (45%) and make role models and mentors more visible and available to them (43%). The need for a mentor is especially critical to female high school students (48%) and undergraduates (51%), both of which are looking for support and guidance to enter and carve a flourishing career in tech. In addition, as key to their future success in the tech industry, women feel corporate action is needed to increase the representation of women in internal groups and taskforces (43%) and on company leadership boards. Demand for the latter is highest among female undergraduates globally (51%), showing the importance of having visible role models in tech from a younger age. Positively, two in five women globally expect to see this change within the next five years. Among the other actions women feel companies need to take to set them up for a fruitful career in tech are providing assurances of equal pay (43%), conducting unconscious bias training in the workplace (42%) and offering regular opportunities for them to upskill (42%). Many companies today are making big strides to put in place policies and programs that provide women with the opportunities, resources and encouragement they need to have a fulfilling career in tech. Yet the opportunity remains, as identified through the research, to step up efforts towards achieving a more gender diverse workforce. Research commissioned by Booking.com and independently conducted among 6,898 respondents (from the UK, USA, France, Brazil, The Netherlands, Germany, China, Australia, India and Spain). Respondents completed an online survey from August 2 to September 6, 2018.